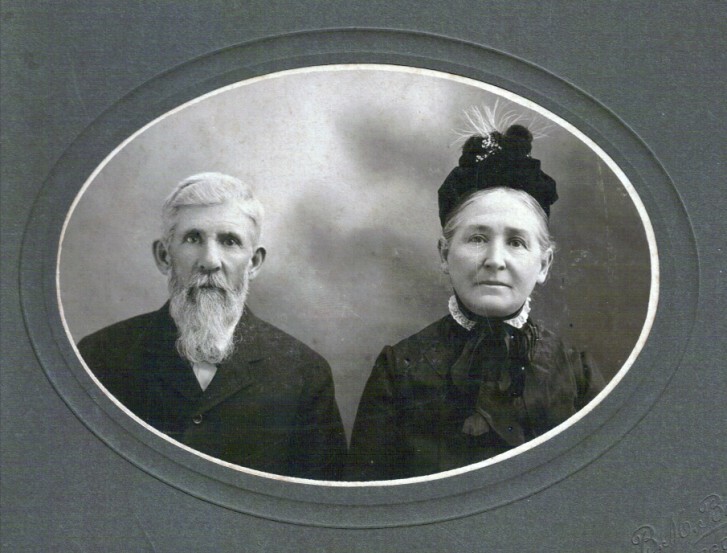 Tearle Family history from the USA. In 1904 a young man from Stanbridge disembarked from the Carpathia and presented himself at the immigration desk at Ellis Island, New York. The adventures of Arthur Tearle 1881 in America had begun. Arthur’s descendants live in Missouri, Florida and California, Georgia, Texas, Kansas and Connecticut. It is to Bob and Sam Chancellor that we are indebted for the fascinating details of Arthur’s life. Bob has written a most beautiful book entitled Pieces of String too Short to Save: A Memoir About Life, Journalism and Foreign Service, copyright 2011, and he has asked us to host the entire chapter he wrote about his grandfather and family. Bob has also sent me the promo sheet for his book, and he has given me directions on how to purchase it. In order to give us a timeline of Arthur’s life, in very sharp focus, Sam has sent us a nicely concise synopsis. So who was he, this Arthur Tearle 1881, and how do I know he really came from Stanbridge? Let me answer the last question first. On his Missouri State Board of Health death certificate we can see he died in Cooper, Boonville, Missouri on 4 Jan 1936. The facts, supplied by his wife on this death certificate, say he was born 28 Oct 1881 in Stanbridge, Bedfordshire, England and that his parents were John Tearle and Maria. These are the exact credentials for Arthur 1881, son of John 1840 and Maria nee Bliss. Arthur is 9yrs old in the 1891 Stanbridge census and in the 1901 Northampton census he is 19yrs old and a draper’s assistant. I’ll leave the rest of his story to be told by the Chancellor brothers. In the crucial matter of his ancestry, if you look at the Stanbridge Tearle memorials you will see the photo of the two side-by-side graves, one of John (“sixty years sexton of this parish”) and Maria and the one on the right for James and Mary. John and James are brothers and while John is the father of Arthur 1881, and the g-grandfather of Bob and Sam Chancellor, James is my gg-grandfather, the father of Levi Tearle, the blacksmith of Wing (see the Wing page) and Levi is the father of Arthur 1874, my grandfather – see the New Zealand page. Which means that Bob and Sam are not too distant from me as cousins. John and Maria had many more children than just Arthur and you can see some of their graves on the Stanbridge page. The children were: Annie 1868 who married Charles Rose, Frederick 1870 who died unmarried in 1895, the twins Kate and Eliza 1873, Sabina 1875 who looked after her father from the time Maria died in 1883, Phoebe 1877 who married George Horne, Thomas 1880 who died a baby in 1880, and finally Arthur 1881. Our common ancestor is Thomas 1807 who married Mary Garner of Toddington. Their family was: James 1827, my gg-grandfather, who married Mary Andrews from the nearby village of Eggington, John 1829 who died in 1829, William 1832 who married Catharine Fountain, some of whose family became hub members of the Willesden cell, Sarah 1834, who died 1837, Emma 1837 who married George Pratt, John 1840 who married Maria Bliss and is the g-grandfather of the Chancellor brothers, and Anne 1842 who married Henry Walker Simmonds. Thomas’ parents were Richard 1773 and the redoubtable Elizabeth nee Bodsworth. She was 18 years old when she married in 1795 and she had 13 children in the 27 years from William 1796 to Joseph 1823, not counting any children who died before they were baptised. Richard’s parents were John 1741 and Martha nee Archer. They had seven children, and their children form the largest branch of the Tearle family. As you can see from photographs of the TearleMeets, held in the Stanbridge Church, the chart of this one family barely fits along the central aisle of the church, running as it does from the vestry to the altar. John’s parents were Thomas 1709 and Mary nee Sibley. This couple had eight children and the descendants of those children account for almost all the Tearles in the world today. If you compare these two men, you will see a remarkable family resemblance. Then if you compare them with the photo taken of me as a teenager, the resemblance is true for more than three generations. Pour yourself a cup of tea, relax in your most comfortable armchair and enjoy what Bob and Sam have brought us. Phoebe lived life to its fullest until the end on September 2, 2013, when she succumbed to bone marrow cancer at the age of 92. She was an accomplished artist especially with water colors, an enthusiastic tennis player at the Carriage Club, a sailor on the Great Lakes and Lake Quivira, an intrepid world traveler and late in life learned to play the piano. She was born October 15, 1920, in Sedalia, MO., to Arthur Tearle, a recent immigrant from England, and Mary Louise Nunnelly Tearle of Montgomery County, MO. At the age of two, the family moved to Boonville, MO, where Phoebe grew up and completed high school. 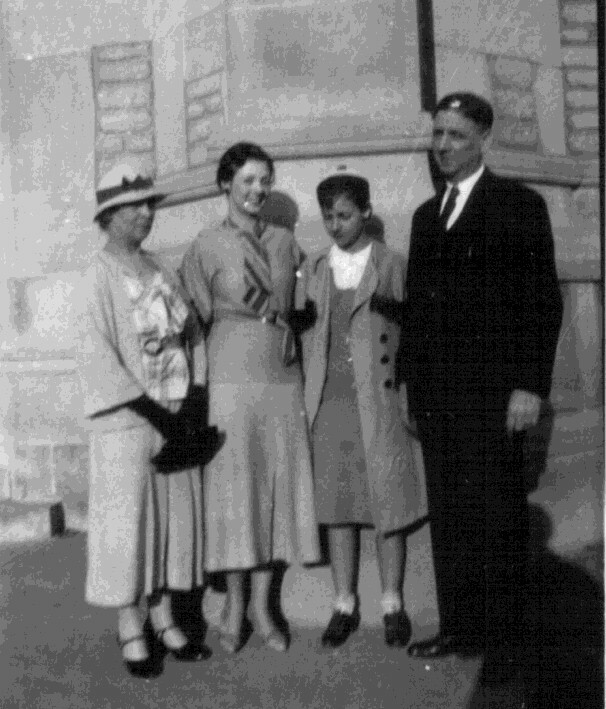 Her father died in 1936, and she and her mother moved to Kansas City, where Phoebe attended the Edna Marie Dunn School of Fashion and Design, and became a fashion artist for Emory Bird Thayer Department Store. Later she became an artist for TWA, and a reservations agent, where she worked until retirement in 1985. She was pre-deceased by her mother in 1968 and by an older sister, Frances Marie Chancellor in 1970. 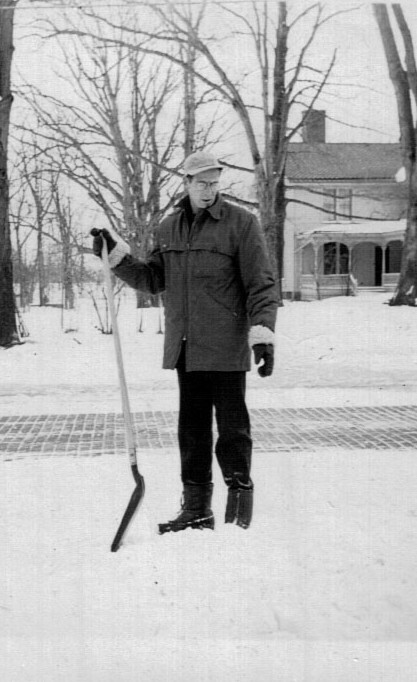 In 1946, she married a co-worker at TWA, Marshall Sanger Kennedy, and they lived at Lake Quivira; Youngstown, New York and Jacksonville, Florida, until his death in 1967. They had two daughters, Laura Shepardson Kennedy, who died in 2002; and Kristin Kennedy Bowen of Kansas City, who survives. Phoebe also is survived by a grandson, Andrew Kennedy Olive of San Francisco, another grandson, Marshall Thibideaux Bowen of San Antonio, and a granddaughter, Marguerite (Maggie) Louise Bowen of Houston. After the death of Marshall Kennedy, Phoebe and the girls moved back to Kansas City, where in November, 1969, she married attorney Arthur C. Popham, Jr. Phoebe and Art traveled extensively, around the United States, to the Middle East, Africa, and annually to England for the grouse hunting season. She also volunteered for many years as a docent at the Nelson-Atkins Museum of Art. Arthur Popham died in September, 2009. A memorial service for Phoebe Kennedy Popham will be held at Prairie Village Presbyterian Church at 6641 Mission Rd., Friday, September 6 under the direction of D. W. Newcomber with a visitation for friends and relatives to follow at the Claridge Court Hall,8101 Mission Road. In lieu of flowers, memorial gifts may be made to the Humane Society of Greater Kansas City, 5445 Parallel Pkwy, 66104. 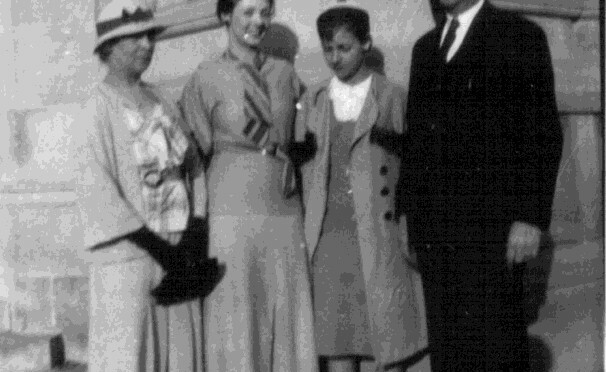 At left is Kristin Tearle Kennedy Bowen, daughter of Phoebe Ellen Tearle Kennedy Popham, the younger of two daughters of Arthur 1881 and Mary Louise Nunnelly, born Oct. 15, 1920, , died Sept. 3, 2013 . At right is Robert Tearle Chancellor, eldest of three sons of Frances Marie Tearle Chancellor, born Oct. 20, 1913, and diedDec. 12, 1970, from an early and massive heart attack as had her father. Kristin is the mother of a son and daughter, all of whom live in Houston, Texas. Bob is the father of two sons, two daughters, five grandchildren and one great-grandson. There are two other Chancellor brothers, Sam with two children and Stephen, with two children and two grandchildren. 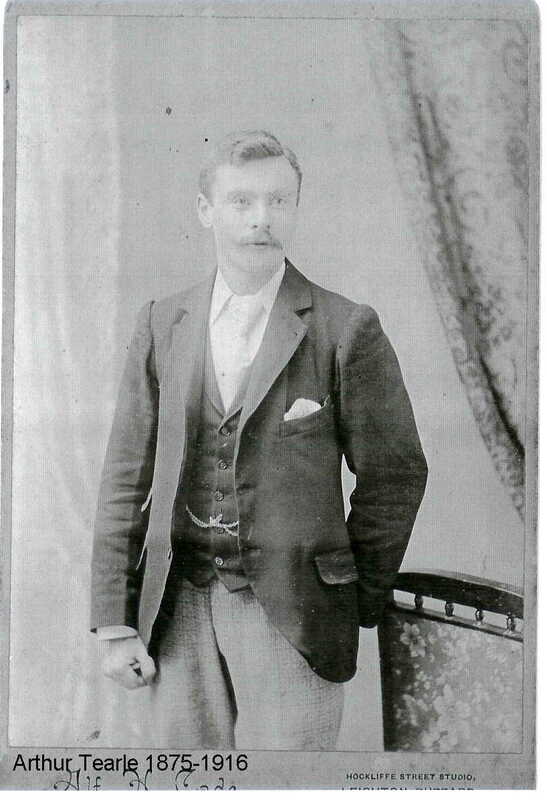 Walter first turned up in the Tearle family tree as a son of Joseph Tearle 1878 and Rachel Elizabeth nee Parker, which meant he was a member of an exclusive family – the Preston Tearles. Joseph had earned a Silver War Badge in WW1 because of a debilitating illness he picked up while on active service. I was looking for the family of Tearle, whose mother was Parker and they lived in Preston, Lancashire. Rachel had nine children from 1902 all the way until 1923. 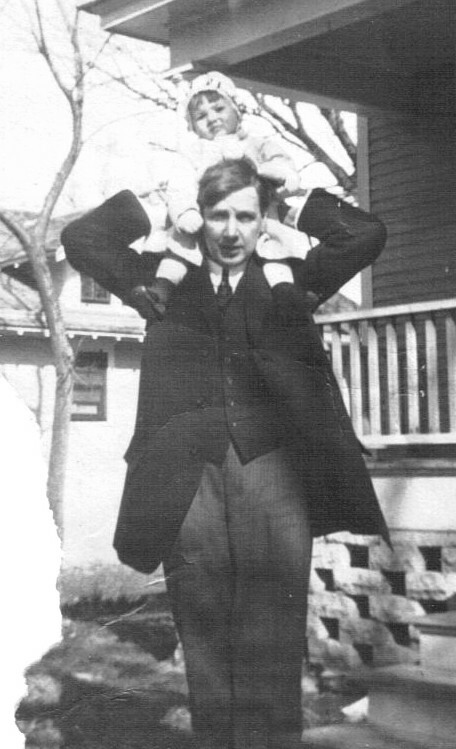 And in 1918, there was Walter. The next document I found was for his marriage – Margaret E Mercer in 1941, in Preston. And that was it. In the years between 1919 and 1950, there was a paucity of documentation that made researching ordinary people in Britain very difficult. There were no Tearle children registered in Britain who had a mother whose maiden name was Mercer. Walter had disappeared. His story would have to wait until something turned up. It has, but only in index form, and that will have to do us. Here is the first one, on a voting list in Canada, in 1957. There is a closely related family descended from Edward Tearle 1890 of Preston, in Calgary, Alberta, who fought with the Canadians in WW1, but Walter does not seem to have sought him out. It would appear that Walter moved to Florida and then received his American citizenship in 1966, so he was in Canada for less than ten years, and all we know about him was that he was good at running a factory. We do hope that he and Margaret had a pleasant life. If I find out any more about him, I shall be certain to return to this page. 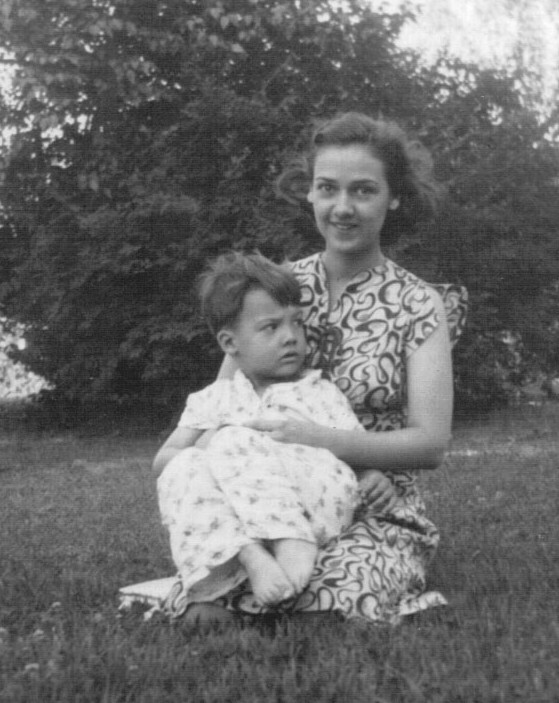 Frances Marie Tearle was born October 20, 1913, in Carthage, Missouri, but her family moved away from Carthage when she was a baby, going to Chicago. Thirty years later, she would return to the vicinity of Carthage for the first time when our family moved to Webb City, just ten miles away. Frances always talked fondly of her early childhood in Chicago – particularly the beaches along Lake Michigan. Her father was head of the copy writing department for the Dry Goods Economist. The family then moved to Boonville which she really considered her home town. Mother went through elementary and high school in Boonville, and for two years, attended Christian College, an all girls junior college, in Columbia. I know that at Christian, she was interested in mod-ern dance, because one time Life Magazine did a photo feature about those dancers and she was among them. 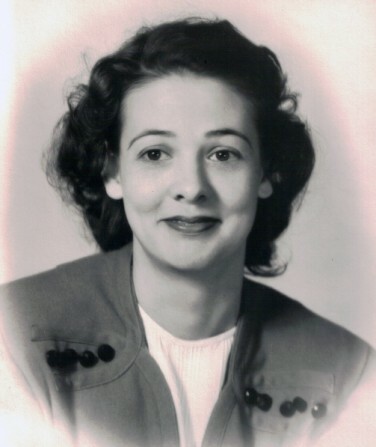 After college, for a time, she worked at the Boonville Daily News as a secretary and typist. She told me one of her main jobs was to take dictation daily from the Associated Press, which would call with a summary of the state and national news. Apparently the Daily News did not have a teletype machine. She was a pretty girl and a pretty woman. Everyone who knew Frances was struck by how sweet and gentle she was. Her father was Arthur Tearle, a dry goods merchant, was born in Stanbridge, Bedforshire, England in October, 1881. He immigrated to the United States at the age of 22, arriving at Ellis Island, aboard the ship Carpathia, on June 10, 1904. 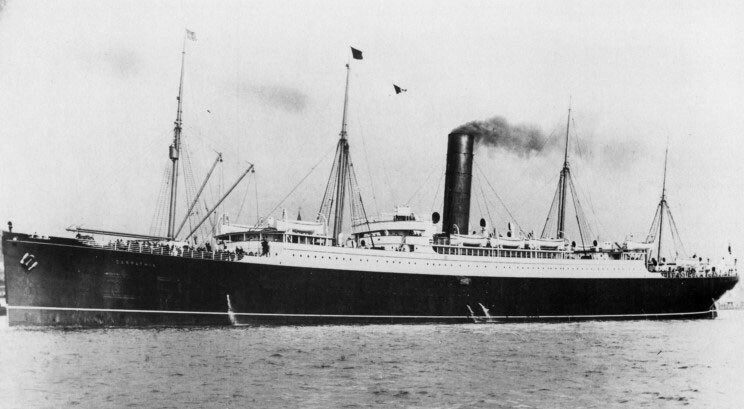 (The steamship Carpathia would later gain fame when it rescued 705 survivors of the Titanic in April, 1912, and later again when it was torpedoed and sunk by a German submarine in 1918). He listed his occupation as a draper. I remember my mother saying that for a time he worked at a hospital, where he saw and cared for drunks, reinforcing his aversion to alcohol. Phoebe, her younger sister, is not aware of this story. Anyway, so far as is known, he never drank liquor and both he and his wife were strongly opposed to it. He listed his destination as Kansas. After finishing public schools, he had become an apprentice in the dry good business in England, holding posts in London, Northampton and Reading. He decided to come to the U.S. while doing social settlement work in Northampton, when he met a couple, whose wife had lived in the U.S. He worked at a dry goods store in Fairfield, Iowa, and then attended Koster Window Trimming and Advertis-ing School in Chicago. He became window trimmer and publicity man for the Rush Store in Cherryvale, Kansas, where he met Louise Nunnelly. A Cherryvale newspaper article in 1910 states: Arthur Tearle made a little trip to Independence (Kansas) this morning, returning with two very important documents. One was his marriage license and the other was the proof that he is now a full fledged citizen of the United States. Mr. Tearle came to the United States six years ago. This morning he foreswore allegiance to the new King George by taking out naturalization papers. Not quite true that he became “a full fledged citizen,” this was his original naturalization application, and precedes his Certificate of Naturalization by the required five years. He became a naturalized American citizen on June 14, 1915. The naturalization certificate by the U.S. District Court at Joplin, Jasper County, Missouri, shows he was married at the time to Mary Louise Tearle, whose address was 1136 Maple Street, Carthage, Missouri; and had a minor child, Frances Marie Tearle, of the home. Judging from this time table, he was still a British citizen at the time of my mother’s birth. From Chicago, the family had moved to Missouri, where he was in charge of advertising for the Chasnoff stores of Sedalia, Warrensburg and Boonville. In 1922, he became manager of Chasnoff’s Boonville store and became its owner in 1927, doing business as the Tearle Dry Goods Store on Main Street. 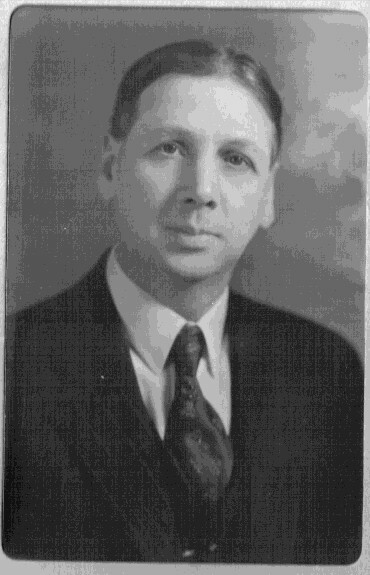 At the time of his death (of a heart attack, at age 55) in January, 1936, he was a member of the Boonville Chamber of Commerce and was hon-ored by a resolution of that organization. He died fourteen days before my birth –that fact led to my fascination in researching his history, thus the length of this chapter. And you will notice, I carry his surname as my middle name. “Tearle” is a very unusual name both in this country and in England – his obituary said he was survived by four sisters in England and was the youngest of a large family. I have seen reference to three brothers, who are not mentioned in any of his family history. If they existed (and his daughter Phoebe has no knowledge of them) then they must have pre-deceased him. With no (surviving) brothers or uncles, there was no one to carry the name forward, except me. In an interview with the writer of the Cooper County History article, in December, 1934, Arthur Tearle reminisced about Christmas in England and said he would enjoy a visit. “However, I know I would find things different over there. Time and change bring disillusionment when one returns to old haunts. A short stay, I am sure, would forever cure recurring homesickness for scenes of my boy-hood. There is greater opportunity here than in England and I love the country of my adoption.” He never returned to England. I knew my maternal grandmother, Mary Louise Nunnelly Tearle better than any of my other grandparents. In fact, I lived with her for part of ayear, in 1955. Her full name was Mary Louise, but she apparently always just went by Louise. She was born September 27, 1883 at Danville, in Montgomery County, Missouri. Her parents were John Theophilus Nunnelly, born in 1837, and Mary Frances Bush, born in 1842. Louise was the youngest of seven children, and I remember her talking about her sisters, Eva, Ora and Gertrude, and brother, Guy. There was another brother, Lu-ther, and a sister, Birdella, who died at the age of three. Mr. Nunnelly was a mill operator and implement dealer in Montgomery City, where Grandmother Tearle went to school, but she never talked about her life as a girl. She next appears in my records in Cherryvale, Kansas, as a music teacher and fiancée of Arthur Tearle. She, of course, moved with her husband to Carthage, Chicago, Sedalia and to Boonville, where she raised her family. The Tearles lived in a two story brick house high atop a hill at the south end of Main Street. The house is still there – my mother told of the car run-ning out of gas and being able to coast all the way down the Main Street hill to a service station to refill the tank. My aunt Phoebe was born October 15, 1920 in Sedalia and was in high school in Boonville when her father died. Louise had worked in the store alongside her husband on occasion, but neither Frances nor Phoebe ever worked there. Upon Arthur Tearle’s death, Mr. Malone, a rival merchant who apparently had some investment in the Tearle store, took over the store and closed it. Phoebe remembers “it was not a pleasant situation and it upset mother greatly.” Another competitor, Mr. Koppel, was described by Phoebe as being a lot of help after Arthur died, and offered Louise the job of running his store, the Sunny Day, a dress shop. Being the widow of a successful Boonville merchant apparently had not left Louise and Phoebe too well off. In Kansas City, Grandmother Tearle can best be described as “indomitable and energetic.” She was short, buxom and had white hair, which had turned at an early age. She never had a car, but walked long distances – often the 30 or so blocks to work – and rode public transit to work and to shop, always wearing a hat and little red gloves. She always lived in apartments, first near the Country Club Plaza and later on Armour Blvd. To my knowledge, she never had a boyfriend, nor any interest in re-marriage although she did tell me she had had opportunities. When she retired from the store, she stayed on in her apartment until dementia forced Mother and Phoebe to place her in a nursing home. She died in July, 1968, at the age of 85. At the time we were living in Thailand and unable to attend her funeral. Phoebe, who was an accomplished artist, also worked at Emory Bird Thayer in the advertising department after finishing the Dunn school. Then she got a job at Trans World Air-lines in the advertising department but was put in the reservations de-partment “to get a feel for the airline.” She liked that so much that she just stayed in reservations from 1943 to 1946. While working there, she met Marshal S. Ken-nedy, a college roommate of her boss. 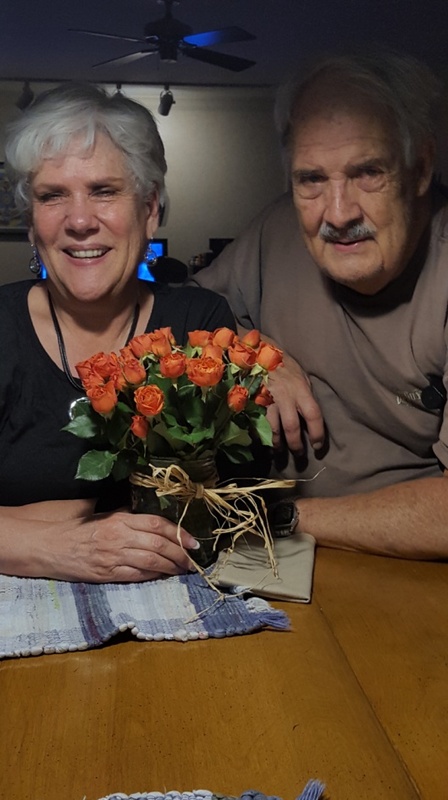 They were married in September, 1946, in Buffalo, New York, and live two years in Youngstown, New York, on the banks of the Niagara River where it flows into Lake Ontario. There they spent a lot of time sailing on his parent’s 28 foot boat. Marsh Kennedy worked for a time with TWA, and then with Bell Aircraft Company. I remem-ber when I first met him, he gave me some Bell Co. pictures of the XS-1 experimental rocket-powered airplane, which was a Bell project. To me, he was an exciting creature, who drove an MG sports car. Their first daughter, Laura, was born in Youngstown, May 3, 1948. Then they moved back to Kansas City, where Marsh worked for the Bendix Aviation Corporation. The com-pany was a prime contractor to the Atomic Energy Commission, and while Marsh could not talk much about his job, he did travel frequently to New Mexico to observe nuclear bomb tests. They lived at Lake Quivira, west of Kansas City, from 1951 to 1965, and their second daughter, Kristin, was born August 23, 1951. 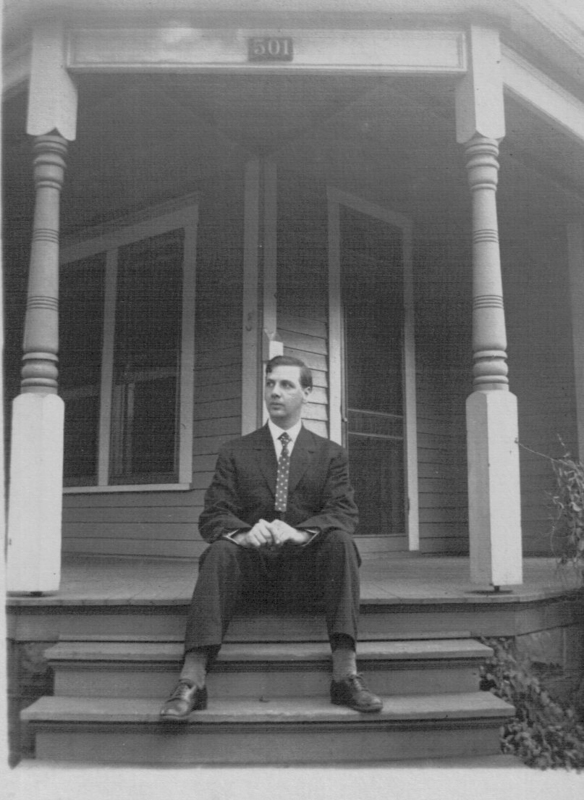 In 1965, the family moved to Jacksonville, Florida, where Marsh worked for Mason, Hanger, Silas, Mason engineering company until his death July 11, 1967. Phoebe and the girls moved back to Kansas City in 1968, and not too long afterward, Phoebe married Arthur C. Popham, a successful lawyer and member of a prestigious Kansas City family. Art, like Marsh, was a flamboyant character – he had done a lot of big game hunting and had a house full of African trophies, as well as several dioramas of his animals at the Kansas City Museum. He, too, was a car aficionado, having been the owner of a Cord in his younger days. He died September 23, 2009 at the age of 94. Phoebe’s eldest daughter, Laura, married and since divorced a journalist, Richard Olive, in 1977, and they had one son, Andrew Kennedy Olive, born November 17, 1980. Laura died in San Francisco on September 16, 2002. Kristin married Larry Bowen in Houston on June 30, 1984, and they had two children, Marshall Thibideaux Bowen, born September 28; 1985 in Kansas City, and Marguerite (Maggie) Louise Bo-wen, born October 11, 1988. She was named after Louise Tearle. Larry, a master professional chef, died June 24, 2009. 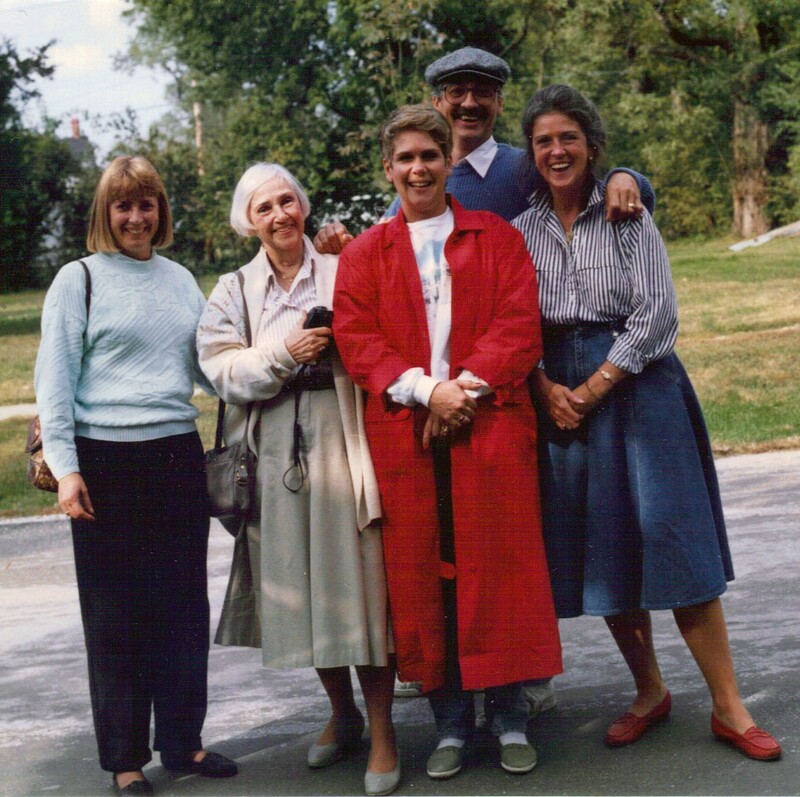 Boonville was revisited in 1990 by my aunt Phoebe, (second from left) when she took my brother Steve, his wife Kay (at left) and her daughters Kristin (in front) and Laura (at right) on a tour of her old home town.